It’s simple. We’re driven to deliver every customer the best. Whether you’re looking for a new vehicle or maintaining your current car, we’re here to make car ownership easy. From test drives to tire rotations and everything in between, we’ve got you covered! Over the past decade, our team has been recognized multiple times for outstanding sales and customer service. We’re proud three-time recipients of the Nissan NSSW Global Award, awarded to the top dealer in Canada for sales and customer satisfaction. Our customer-first approach has also landed us the Nissan Award of Merit consecutively for the past 18 years. Whether you’re looking for a new vehicle or maintaining your current car, we’re dedicated to delivering an outstanding level of customer service. You can count on us to deliver the best value for your dollar. From new and pre-owned vehicles to genuine Nissan parts and accessories, we work to deliver exceptional products at great prices. Brantford is in our blood. As members of the Brantford community, we’re proud to support the Ronald McDonald House, City of Hope, and Nova Vida. It takes a winning team to drive us forward. 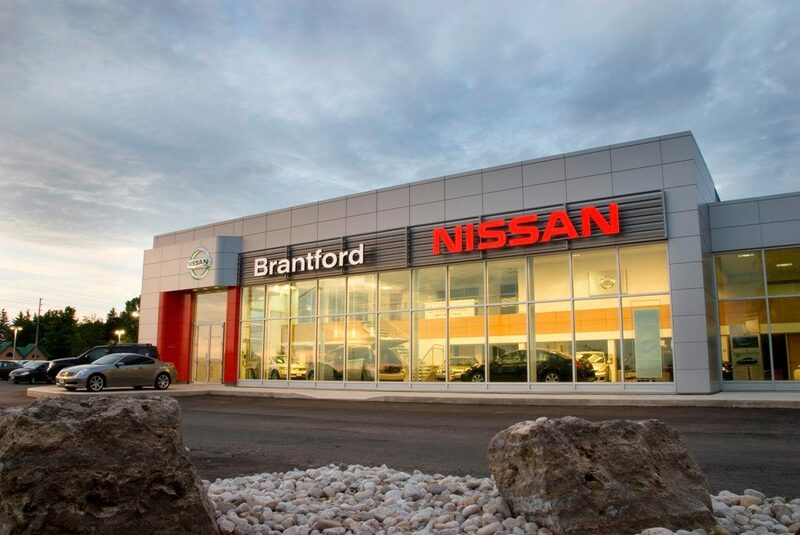 Meet the Brantford Nissan crew.